The lawyer for 71-year-old David Boutros argued that the child, who was allegedly left on a bus for hours, was not at substantial risk of harm to qualify for the reckless child endangerment charge. NBC10 Boston’s Jonathan Choe spoke exclusively to the Hyso family. The parents say their child was left alone in a bus. The 5-year-old boy managed to get out and and ended up running into the side of a moving car. 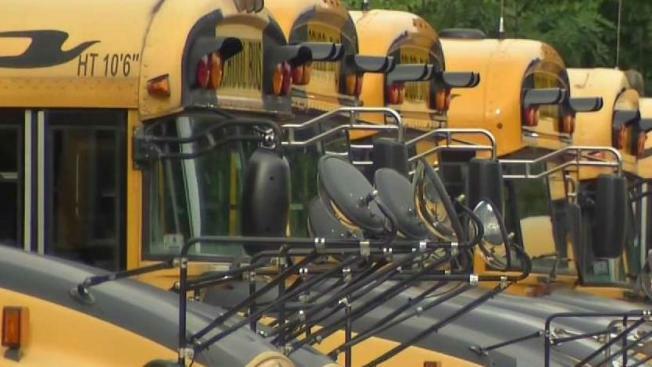 A judge has denied a motion to dismiss a charge filed against a Massachusetts school bus driver who allegedly left a 5-year-old boy on the bus for hours. The Salem News reports that the lawyer for 71-year-old David Boutros argued that the child was not at substantial risk of harm to qualify for the reckless child endangerment charge. Salem District Court Judge Randy Chapman rejected that argument Monday, saying the child could have gotten off the bus and wandered onto a highway. Police say the boy was hit by a car while trying to walk home after he was left on the bus in Beverly in September. He suffered cuts and bruises. Police say Boutros disregarded protocols when he didn't check for children on the bus. Boutros pleaded not guilty to a reckless child endangerment charge in November.